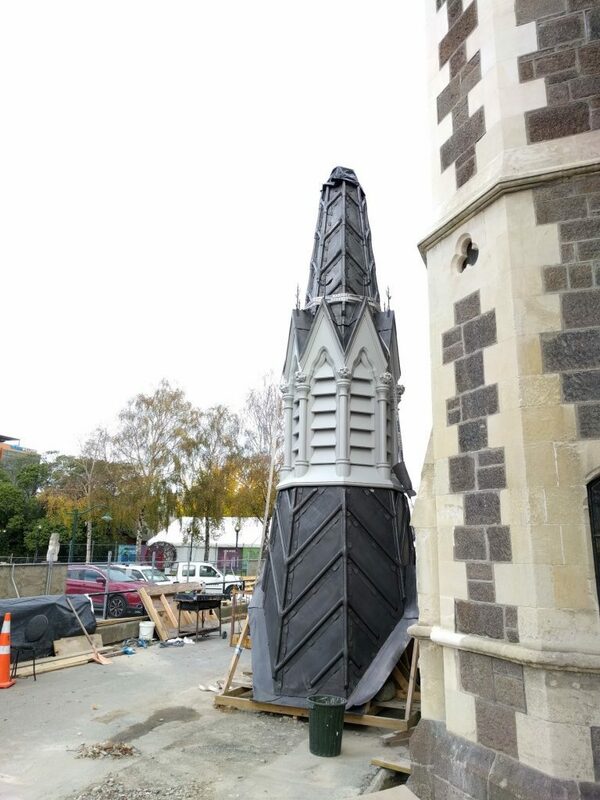 The quest was to build a replica of the ventilator spire which originally sat on the central roof gable of the former Christchurch Boys High building (1881). It is believed that the spire was demolished in the 1940s due to its structural integrity following an earthquake or fire (no records). The replica was based solely on historic hand drawings/photographs and there was a rigorous review process during design and through construction of the 4t 8m-high piece – in addition to the other internal/external works going on with the Boys High building. 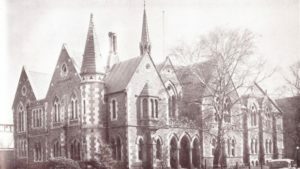 The construction was a collective effort from both the main contractor and Arts Centre Direct Contractors (leadworks and fretwork) due to the traditional techniques and skills required, which was also the main contribution programme uncertainty and construction costs (circa $200K). That being said it’s great to finally have it in position after having a vacant space for such a long time.